Master the 5 Weapon Classifications with Warrior Concepts & Shidoshi Miller! The Ninja Warrior is Free to Adapt, overcome, and Win! The primary difference between the weapon classifications within the ancient teachings of the warrior and the modern focus of the conventional martial artist, is in the way each sees the weapons themselves. ...the modern martial artist seems to be easily entertained by the myriad forms and styles that are displayed for purchase within the pages of a martial arts supply catalog. ...weapons for self-protection and the preservation of life in violent encounters, and their respective weapon classifications, are no different. To develop a deeper understanding of the "concept" and "principle"-based focus of this deeply rich martial philosophy, the student of ninjutsu is introduced to 5 basic combat tool, or weapon classifications. ...common items that can be pressed into the ninja student's service for defense should the need occur. These common, everyday items, as far as the ninja warrior is concerned, are just as much a part of the weapon classifications of the martial art of ninjutsu, as the more obvious tools found within each weapon classifications grouping. 1. Bladed - includes swords, knives, machetes, kitchen utensils, etc. This category, by extension, also includes anything that can be pressed into use as a cutting tool. Common, everyday items like credit cards, shards of glass, saw blades, and the like - can all be taken up and used to create cutting damage against an assailant intent on doing you harm. The stick is one of the oldest (next to the rock) tools ever pressed into use as an offensive or defensive weapon. It's sturdy, versatile, and can be found just about everywhere. In fact, it is probably the largest of all of the weapon classifications due to the shear items in the world, weapon and common place objects, that fall under this heading. ...would have to be outlawed. And, unlike the knife or gun, the stick is probably the easiest weapon for most people to pick up and begin using with little to no formal training. Because it's almost instinctive for us, even as children, to pick up a stick or club and swing it. Look around you. Regardless of where you are right now, it's almost impossible NOT to be able to find something flexible that could be used to wrap or tie up an attacker reaching out to get you. ... and, the clothing on your back. Even open newspapers and magazines could be used to deflect and wrap an incoming limb. ...all are flexible self-defense toolsand fall within this section of the warrior's weapon classifications! Since the dawn of time, man has been throwing things at his fellow man. It is one of the most basic, instinctive, actions carried out by attacker and defender alike. When angered, some people even look for things to throw to express that anger. As the most extreme form within this weapon classification in Today's world, the gun, especially the handgun, has become the number one weapon of choice for self-protection in certain circles. The ninja knew the benefit of the thrown weapon. They were masters at developing small, easily cancealed and used items that could be used to distract, disuade or deter their attackers. ...still, even today, spark the imagination of students and fans alike. As an extension of the above historical examples, we can use everything from coins, grass, dirt and small stones, to credit and playing cards, pens and pencils, and other small items like ash trays, coffee saucers, and even your wallet. 5. Combination - includes any 'combination' of the above four classes. ... requires the use of the imagination along with an expanded awareness of one's surroundings and a clear understanding of the principles and concepts that govern how the ninja warrior sees the weapon classifications at work. For instance, the kyoketsu-shoge 'idea' can be recreated by tying a screwdriver or other cutting impliment to an extension cord or a mechanic's drop-light. In the same way, a spear or halberd can be fashioned very quickly by lashing a knife or saw blade to the end of a long stick, lamp pole, or other staff-like item. ... it's about your understand of, and ability see the 'weapon' in the ordinary item when you need to the most. ... "flexibility is the key to longevity." It means that you - your imagination - your perceptions should be as flexible and formless as the so-called 'classes' discussed above. Go beyond the need or habit of seeing a 'sword', 'bo staff,' or any of the many specific forms that everybody else sees. Go beyond the ordinary perseption of your fellow human beings. Train to the point where the 5 weapon classifications become one. ... if you are to survive, you must be able to see beyond your assailant's limited and narrow vision. But, that's a topic for another article. Get more great information about the Ninja's 5 Weapon Classifications by subscribing to the Warrior Concepts Newsletter. Each issue is filled with training ideas, tips, historical facts, and "secrets" from Shidoshi Miller that will make you even better. 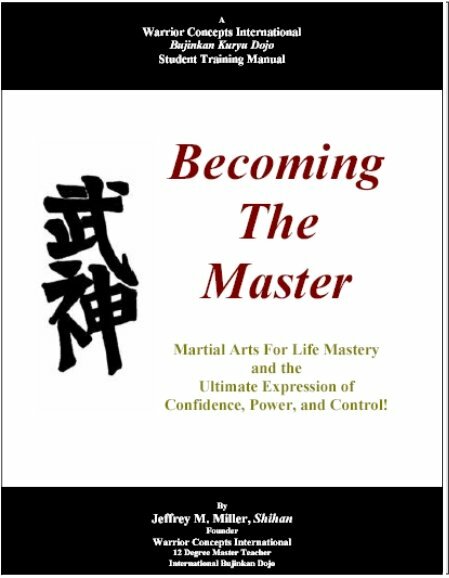 You'll also receive, as a special Free Gift, the powerful 7-part "Foundations of Self-Defense Mastery" eCourse by Shidoshi Miller - just for subscribing. Just complete this simple form and hit "submit". That's it. And, there's plenty of training in many of the weapon classifications at our intensive Ninja Training Camps!